But anyway, there were some great ones released this year too. Here are some of my favorites across several genres in no particular order. If any of the artists would like to have their mp3s removed just email me and I’d be happy to do it! This album has a decidedly more collaborative feel than the previous three, and fiddler Brittany Haas takes her place as one of the most exciting and innovative on the scene. Its more than contemporary arrangements of old-time tunes – Crooked Still has managed to craft an album that is both fresh and familiar, a combination which makes me never cease to get tired of playing it straight through. There are very few luminaries in the indie world that I feel like I can trust to keep putting out good music. They always seem to betray me. But I trust Sufjan to the extent that I think if he put something out I didn’t like I would keep listening to it until I understood it. But that wasn’t necessary with Age of Adz, because its blindingly beautiful. Its over the top in a way that weaves together industrial sounds with woodwinds and layered vocals into a magnum opus that, to me, resonates so much with 2010 or at least how I would love people to picture it in a hundred years. This album hits hard, and is much more rocking that the duo’s previous two. But the beauty and soulfulness of the songwriting and Ruthy’s vocals ring true like the others. It also has an impressively cohesive and well-produced sound considering it was mostly recorded at the couple’s home studio. I’m including this album with some hesitance – but it was a really significant album for me. The Punch Brothers were, and still are, my favorite band. The album is beautifully engineered and definitely delves into uncharted territory – and the press loves it – but some of the songs just don’t stand very well on their own. The ones that do though, represent a band that has found their personal stride, and is co-writing much more than their previous two efforts. It isn’t east to pull off an album with two alto saxophones, but Mahanthappa and Green have an interesting take, often using their distinctly different tones in unison. The compositions range from the heavily eastern influenced (Mahanthappa) to the subtle cry of ballads (Green). The rhythm section – particularly Jason Moran and Francois Moutin are intuitive and sensitive. Old-time albums are funny. There really aren’t that many songs that get passed around through the small scene, so interpretations vary greatly. What makes this one so tirelessly appealing is the personalities of Steph Jenkins and Rosie Newton shining through the songs. When this album first came out someone said to me “sure you love it now but will you still be listening to it in 6 months?” and the answer is yes. I love it, and I’ll often listen to the entire 2 hours and 4 minutes straight through when I have the chance. Newsom is a true luminary and unapologetically spins webs of tragic and beautiful tales. This particular outing seems a little bit easier to digest than some of her other work, though not because its in any way watered down. Like a lot of my favorite albums over the years, it uses fragments of melodies and variations throughout that create a harmonic palate that ties the whole thing together like a great novel or movie soundtrack. I know I’m playing with this band now and I talk about it all the time, but I really really do love this album (that I’m NOT on, by the way). When I first heard it I was a little skeptical, but saw potential in the band. Now that I’ve listened to it probably hundreds of times I’ve garnered a deep appreciation for it – and particularly the time and attention to detail that clearly went into each track. Every time I play it I hear something new. And most importantly, there is an honesty in the songwriting that is undeniable. I was extremely honored to record on this album but honestly my part is insignificant in the bigger picture. The songs range from soulful to rocking to intimate and honest. 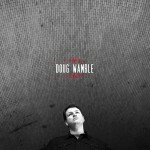 Doug’s voice is unmistakable and the two covers on the album by Jonah Smith and Fiona Apple are what great covers should be – poignant accents to a strong set of original tunes. 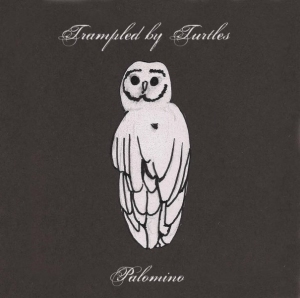 My taste in bluegrass has definitely changed in the past couple years, and Trampled By Turtles were a welcome culmination of what I’d been wanting to hear. In a genre that seems to be getting overly safe and clean, Trampled by Turtles are raucous and extremely dirty. The band has a punk rock energy at times, but the songwriting is there and the album ranges from a roar to awhisper. Posted on Wednesday, December 29th, 2010 at 2:13 pm. Filed under: Blog, Music Reviews	RSS 2.0 feed. Great choices!!! Of course, I’ve never listened to Doug Wamble, Joanna Newsome or Pearly Snaps but I will check them out. I’ve listened to a little of Andrew and Noah’s stuff and really like their sound and interpretations. Glad you are playing with them!!! I’m sad to say that Antifogmatic is not standing the test of time with me. I find that I have tired of most of the tunes. Just saw them in Chicago before Xmas and they gave a superb performance, as always. 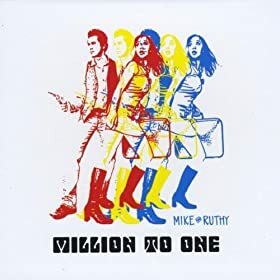 I’m excited that I will get to see Mike and Ruthy AND Crooked Still for the first time in April when they come to play at Old Town School of Folk Music. My favorite of all those you listed is Trampled by Turtles. I am crazy about them and just keep listening to Palomino over and over and over. Love all the songs on Palmonio and their older ones, too. Dave Simonett is a great writer and the fiddler, Ryan Young, is amazing! Have a Happy New Year, Chris! Ashokan should be so-o-o-o-o fun!